Venturing Forums are held three times a year and are a great resource and fun opportunity for your entire Venturing crew. Each forum includes a chance to get to know fellow Venturers from across the council and features a program packed with ideas and opportunities for your crew to take advantage of and implement into its annual program plan. The council’s youth Venturing officers take the lead in driving this program and making it a great experience for both the youth and adults in the Venturing program. Bring the whole crew or ship – and prospective Venturers! 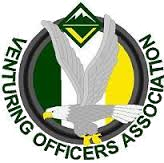 Venturing Forums are typically held in January, April and October at the Cockrell Scout Center at 7:00 pm. Check the calendar for upcoming dates.